Anne Elaine Bellmore Hodges passed away Wednesday, September 5, 2018 at The Harbor at Harmony Crossing in Eatonton, Georgia at the age of 87. Mrs. Hodges was born November 9, 1930 in Montpelier, Vermont, one of five children of the late Edward Leon Bellmore and Bertice Turner Bellmore. She moved from Orlando, Florida in March of this year to live close to her daughter, Pamela Macatee and her husband in Eatonton, Georgia. Mrs. Hodges was a homemaker raising her four daughters. 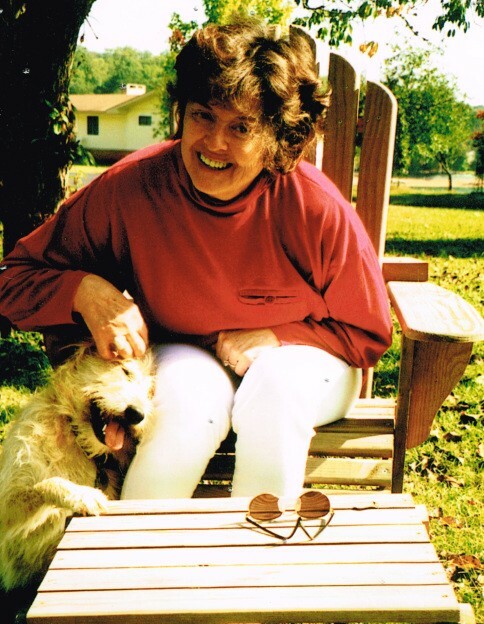 She was an avid bridge player and also enjoyed gardening, caring for her pets, cooking and entertaining. She was predeceased by her husband, Herman Curtis Hodges in January of 2015 and her brother, William “Billy” Bellmore. She is survived by daughters Pamela Macatee (Van) of Eatonton, GA, Stephanie Hodges of Colorado, Anne-Marie Hodges (Michael Denicole) of Cave Creek, AZ and Jennifer Dill of Orlando, FL; six grandchildren, Annie (Robert) Jones, Amanda (Cliff) Orr, Alex (Emily) Morrison, Heather (Joe) Herring, Casey Hodges and Cannon Dill; and nine great grandchildren; sisters, Marie Azur, Joan Bedee and Thelma Anonsen. A celebration of her life and burial beside her husband will take place on September 29th in Highlands, NC. The family requests donations be made to Oconee Regional Humane Society, 1020 Park Avenue Suite 101, Greensboro, GA 30642 or the Alzheimer’s Association - Georgia Chapter, 41 Perimeter Center East, Suite 550, Atlanta, GA 30346.